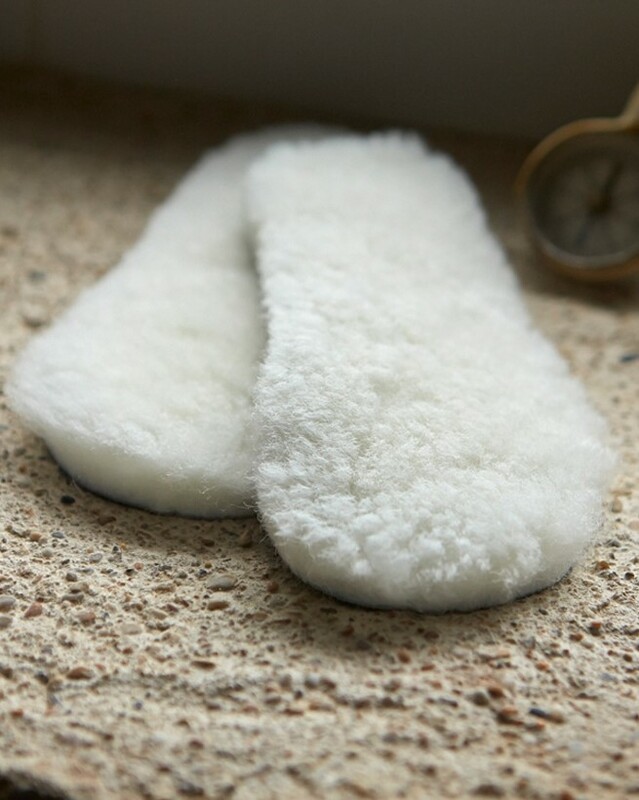 Make all your shoes and boots as comfortable as your cherished sheepskin footwear with our bestselling 100% sheepskin insoles. Suitable for almost all boots and shoes you can enjoy the warmth and comfort of genuine British sheepskin all year round. Order insoles by shoe size; some trimming may be required. Only the best insoles will do for my slippers which I have had a few years now, the Celtic ( New Zealand ) slides. Besides keeping my feet nice and warm, I find I don’t get hard skin on my heels. I also went down a size, perfect ! These are amazing- they have revamped 2 pairs of bootie slippers and I’m considering some for my wellies- keeps feet really toastie. Great insoles, warm and soft, but sizing is way off. Fortunately I previously read reviews and ordered a size smaller. Size UK 7 fits perfectly in to my EU 42 (UK 8) size boots. Perfect for revitalising any kind of footwear from wellies to slippers ... instant warmth!